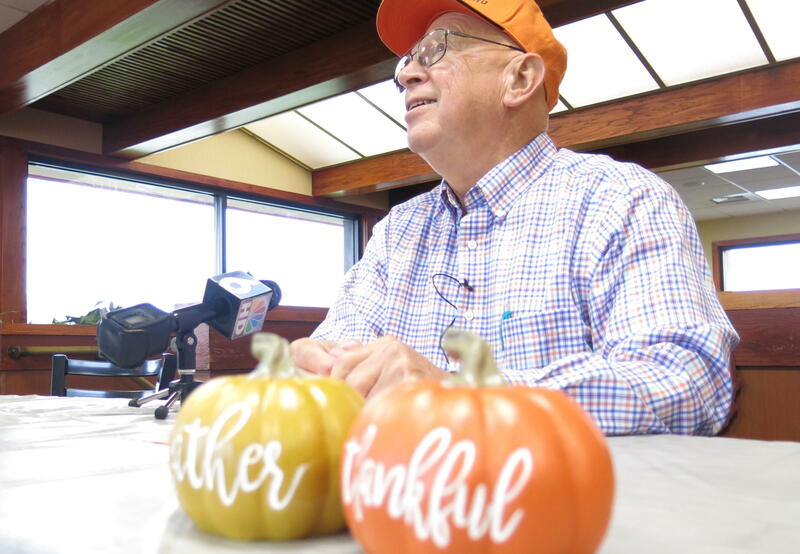 Thanks to a Moline man, thousands of people who'd be alone on Thanksgiving will enjoy socializing and eating turkey, mashed potatoes, dressing, and pumpkin pie. 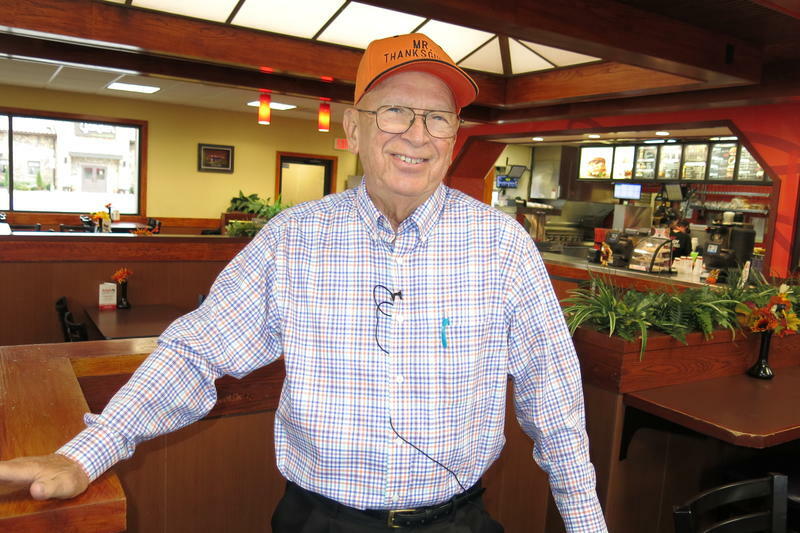 Michelle O'Neill reports Bob Vogelbaugh is well-known throughout the Quad Cities area as "Mr. Thanksgiving." Forty-eight years ago, Bob Vogelbaugh and his parents ran a small grocery store in downtown Moline. When he asked several older customers about their Thanksgiving plans, they said it was just another day to be alone. That's when a "light bulb turned on" and he invited them over for Thanksgiving dinner. 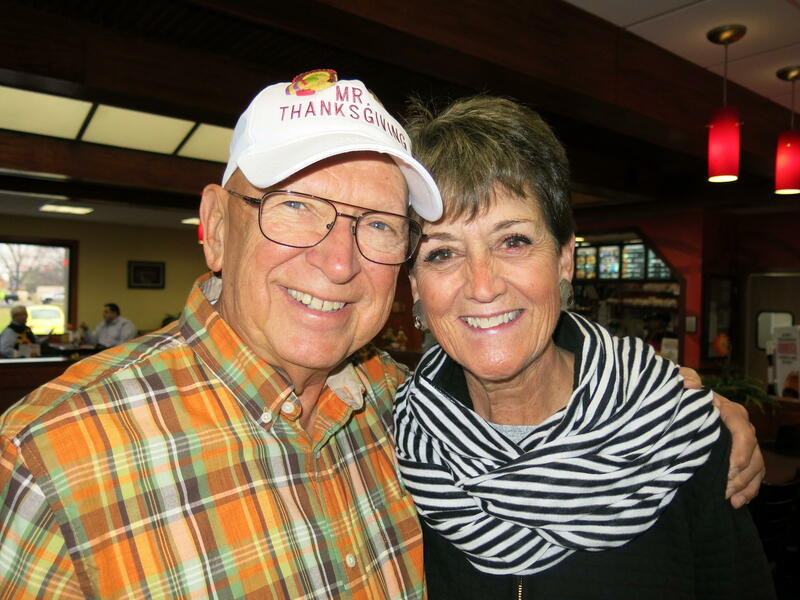 Since serving that first dinner party, Vogelbaugh and his friend Vicki Birdsell-Baker have fed and entertained thousands and thousands of people on Thanksgiving Day. Every year, around 300 volunteers show up at 3:00 in the afternoon. Vogelbaugh always encourages them not to just serve and clean up, but also to take plenty of time to talk with his dinner guests and show them a good time. Mr. Thanksgiving wants to make it clear. He is again inviting people who'd otherwise be alone on the holiday to his annual turkey dinner. Bob Vogelbaugh is also asking for donations to make it possible.